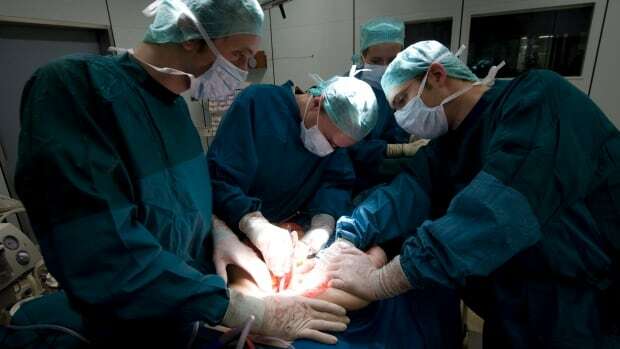 Doctors in South Africa say they transplanted part of a liver from a mother with HIV to her critically ill but HIV-negative child, concluding that the chance to save a life outweighed the risk of virus transmission. The mother and the child recovered after the 2017 transplant, though it is not yet known whether the child has the virus that causes AIDS, according to the team from the Wits Donald Gordon Medical Centre in Johannesburg. Experts at the University of the Witwatersrand explained the procedure in an article published Thursday in the journal AIDS. The university said it was "believed to be the world's first intentional liver transplant" from a donor with HIV to a recipient without the virus, and that its success opens the way to "a potential new pool of living donors that could save additional lives." Medication provided to the child before the transplant may have prevented HIV transmission, though that will only become clear over time, the experts said. A liver from a donor without HIV was not available in a country where there is a chronic shortage of organs available for transplant. "The transplant team faced the dilemma of saving the child's life whilst at the same time knowing that the child might end up HIV positive because of this decision," the university said. The mother, who was taking antiretroviral drugs to combat HIV, had asked on a number of occasions if she could donate part of her liver to save her child's life, and the medical team explained the risks of living liver donation to her, according to the university. The organ is able to regenerate and become complete again. "In the weeks after the transplant, we thought that the child was HIV positive, because we detected HIV antibodies," transplant surgeon Jean Botha said in a statement. But more testing by HIV experts at South Africa's National Institute of Communicable Diseases did not find any active HIV infection in the child. South Africa has the world's biggest antiretroviral therapy program, improving the lives of many people with HIV. The doctors in South Africa had to consider that with today's improved HIV medications, the child could "lead a relatively normal life" with one pill a day, even if he or she did become infected, according to Dr. Anthony Fauci, infectious diseases chief at the U.S. National Institutes of Health and a leading HIV expert. "If it is a choice between death and living reasonably well with a treatable infection, I think they made a quite reasonable choice," he said. But Fauci stressed that one case doesn't mean the approach is ready to be tried again: "Everything has to be on a case-by-case basis." There have been cases in which HIV-infected organs were unintentionally transplanted into HIV-negative patients. And in the United States, Johns Hopkins University in recent years pioneered HIV-positive donor to HIV-positive recipient transplants. Also in the U.S., testing is under way using hepatitis C-infected organs, thanks to new hepatitis treatments.